As the sun begins its ascent on a new week in central Mozambique, I am not without my questions about what it means to exist and do. I am sure we all ask ourselves if what we are doing means anything…especially if you are stuck in a corporate position. The Man clamps down and holds you in his grasp, unwilling to allow you a speck of happiness. Forget being happy. What about greatness? I am far from the glittering world of commerce and the institutions of higher order in New York, London and the like but it doesn’t change my desire for more. I came to Africa to really do but the existential unhappiness of the doing still invades the development work. Even my work in development is a drop in one of the biggest lakes of human rights abuses throughout the world. It is enough to keep crying. Tears aren’t going to change the world though. It is more than that. Insanity and reaching for greatness does not a great mind make. Maybe it is because pushing yourself to achieve is not enough in life, and it doesn’t mean you are more intelligent than the next person. Calvin and Hobbes are always reminding us about friendship and the fall of humanity, albeit in humorous form. Brilliant! Calvin knows the difference between a boring everyday slave-to-school Monday and the FREEDOM of running around without clothes on. Finally~ Life can begin! You may beg to differ that inventing Naked Mondays is hardly what a great mind would think. But who is to say? Aristotle said that a great mind must exist with at least a touch of the insane. So if we question what we are doing because our mind feels as if it is bordering on madness should we question our mind? When we are reaching for something extraordinary … what does that mean? Could it be closer to having a great mind but still unsatisfied? Who is anyone kidding? Insanity and dissatisfaction does not a great mind make. Certainly I do not live a charmed life. My idea of a good day is when I haven’t found solvent paint on my face at 5:00pm or swallowed a bad piece of chicken (happens more than you can imagine). Yes I have R&R. I can visit home. I see beautiful places other people don’t dare to see. But daily life – glamorous it is not. Satisfying? Lately not even that. Greatness isn’t often charming either. My only consolation is that if I am Calvin I have my friend Hobbes. What if Hobbes wasn’t there? I guess Calvin would have to rethink Naked Mondays for a start. What fun is that without a friend to appreciate the true inventiveness of Naked Mondays? 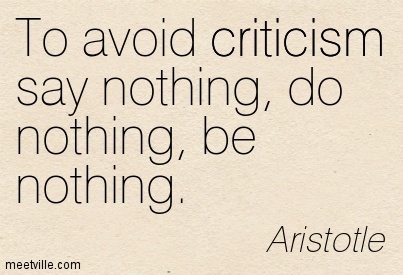 Do nothing. Then you are exactly that. Perhaps the question is not about questioning the familiar, the mundane, and the boring. It is about using the dissatisfaction as fuel to change the things you can control even if it makes you go crazy. If I was Calvin, I would say Hobbes is my secret ingredient – madness, a little bit of being clever and a friend to cheer you on or tell you when you should rethink things. Criticism comes not only from our enemies, but also from the ones we love the most. If we don’t constantly wish to be more, to change what is stagnant, we may never have to worry about the thoughts of others. But what if we do? Then we fall prey to the many bystanders, pits of vipers and those waiting for us to fail. I’ve had my share of criticism and it isn’t going away anytime soon. I’m reminded that I am surrounded by friendship that never questions my character, my passion, and who I am. An ambitious mind is one that is vulnerable, especially if your passion is on the line. Vulnerable to criticism, envy, and FAILURE. Admittedly this can be a hard place to be. My mind is not far from misery right now. But one cannot fear what is not known – greatness is not something often achieved alone. Lately I am not so sure about my own strength. But I do know who my friends are. If I know I am crazy, they know I’m crazy, but I still know who my friends are. So life isn’t so bad. Maybe I could push myself over the edge to something great after all. They say that a man is only as good as the woman standing behind him. Well I may not be a man but perhaps that doesn’t matter. Maybe being female means all the women behind me make me stronger. I don’t have one; I have many! If one is measured by all those behind her, then I may have some greatness in me after all. Thank God. I wish it was only my mind that was on the chopping block but if one’s passion is part of the motivation I’m in trouble. It is also my heart on the line. Sometimes that is harder than it seems. Cheers to you ladies! Here’s a balloon from Moz. Or two or three. Who said African living isn’t weird and weirder and maybe some kind of wonderful? Loss. It is an un unusual, yet mostly terrifying event. The first thing that comes to mind when I imagine loss is the fear that comes from the absence of the missing element. The reason I say unusual is this. Loss has the uncanny ability to propagate feelings of absence and yet, presence of the missing. Today’s subject is the losing end of coming to Mozambique. Most days I relish the challenge of coming here, and in fact I have begun to make a sparse group of friends I look forward to getting to know more. In my humble opinion, friendships are the best part of a new place. Mine are few and far between but they make living in a foreign place much lovelier. The challenges are many: negative attitudes, language barriers, cultural boundaries, leering & twisted grins, and miscommunication. These challenges do not often paralyze my sense of adventure in and of themselves. What they do strike in me is a sense of loss. When I first arrived, I had little. I’ve never been one of fear. I have a spirit of hope in me and this is never forgotten when I take on the new because hope is un-ending joy. 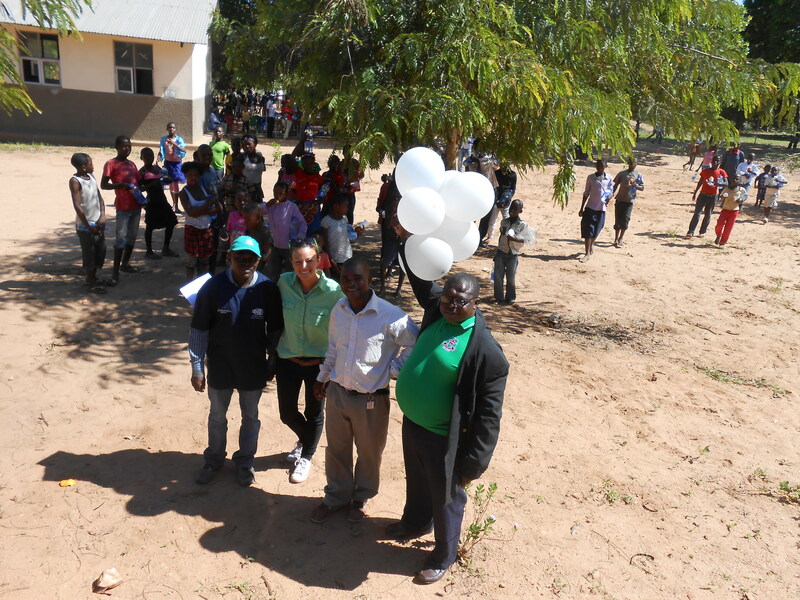 As a Christian, the spirit of hope is an important element of my life and I needed it a lot when I came to Nacala. So I was not afraid. I was however, not without a nervous, creeping sense of my weirdness in a place of abject poverty, Portuguese and Makhuwa lenses of culture, and an unstable political climate. So instead of spreading my ‘wings,’ I walked around as if they were clipped without knowing my own freedom and that has cost me time. While some may think that being the eagle, and not the kitten would be ideal. Look at this picture again. The cat is clever, but the bird is powerful. I’d rather be clever and make mistakes – only to pick myself up and be smarter. Maybe even wise someday. 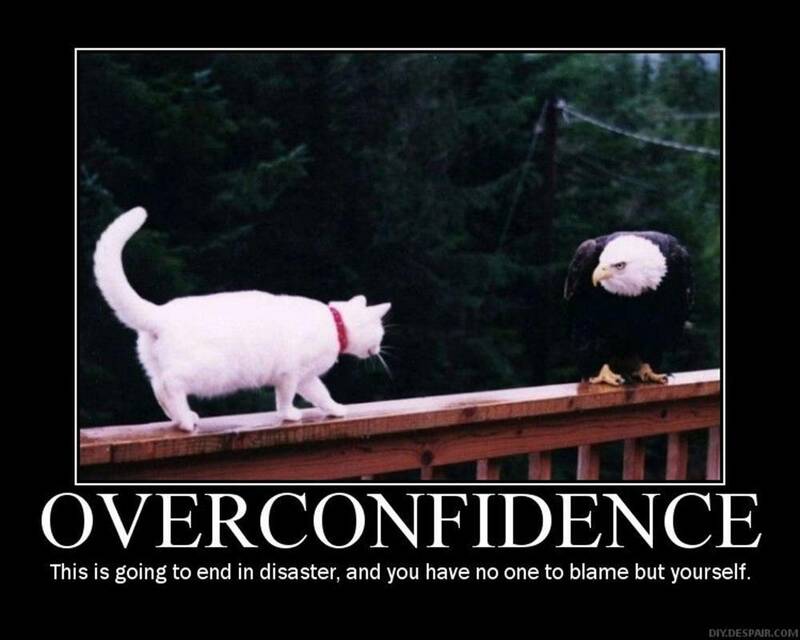 Hopefully confidence does not mean arrogance as in here. In the meantime, clipped wings or sly felines equal some major advantages. Never mistaken my understanding of people for ‘knowing’ everything. I’m still learning. I appreciate a good cup of coffee. Did I mention this yet? I REALLY appreciate a delightful cup of coffee – and I especially miss Parisian cafes, so when I travel in an airport I get very excited just to see a cappuccino in a clinical-style café. Giddy. Never take the beauty of Africa for granted. I confide in my best friend more than ever. My loss of confidence has in fact, not been a loss at all. It means I am ‘growing up’ in an adult sense. I like it. Music is a medium of the mind and the heart entrapped in melody. If I had to choose my favourites of all these, it would never be adequate to make a few choices because I continually change my mind about what kinds of music have the most impact on me. Coming to Mozambique was a challenge not just because of the exotic nature of where I live but who the people are that I see, speak and listen to each day. These experiences inform the music I listen to because I am in constant flux – adapting my moods to the ups and downs that arrive each moment. I’ve always been a fan of mellow, more easy tunes. My Californian days were filled with live shows of the acoustic variety and college angst spent listening to ‘Just a Phase’ on repeat off the Morning View album. Break-ups never felt so good. I also love the one-two punch of rock music in the form of the Stones, Pink Floyd – modern as well as, indie interpretations like Incubus, Cold War Kids, and Shiny Toy Guns. Of course there is also the occasional dance rock like Two Door Cinema Club. Isaak may not be the only one who sings well, but this epitomizes some of the heavenly sounds that make walking along simple. Just swings like one should be humming already to an easy beat. He reminds me that folk singers aren’t the only ones with some nice melodies (In the vein of Ryan Adams, Ray LaMontagne, Johnny Cash – who are all on my list of course, too.) and it brings a lot of colour to that je-ne-sais-quois of a life’s soundtrack. On that final note, I will leave you with the temptress Florence and the Machine’s incredibly talented singer who has traversed different genre boundaries. I have a soundcloud mix embedded here which has some lovely electronic vibes that I can certainly get behind whether it is a Mozambique summer or a California Winter. Always beautiful. Always with a voice like sunshine.